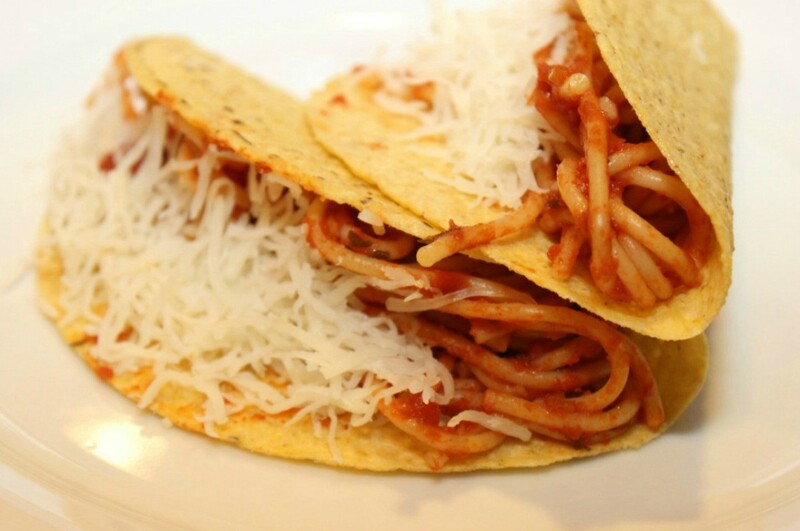 Spaghetti tacos are a tasty way to use up leftover spaghetti. 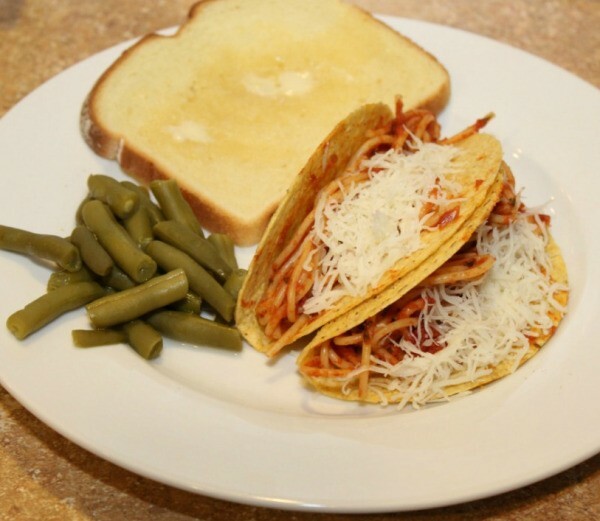 This page contains recipes for making spaghetti tacos. I had left over spaghetti, from the day before. I mashed up the spaghetti with a potato masher and I put into a pot to heat up. I added a little more spaghetti sauce to prevent dryness. I added a pack of mozzarella cheese and 1/2 pack of cheddar cheese. After well heated, I placed in taco shells. There was not one bite left. Source: I came up with it myself. Our daughter loves iCarly and has been wanting to make spaghetti tacos like they eat on the show. So the other night we made them and to our surprise they were really good! Bring your water to boil with a little oil. Then break the spaghetti noodles into small pieces as you add it to the water. Cook until desired texture. Heat up spaghetti sauce, then after draining the spaghetti, combine the noodles and sauce. Fill the taco shells with spaghetti and top with shredded cheese. Enjoy!